This is the third lesson on the professional photo shooting for Manfrotto. 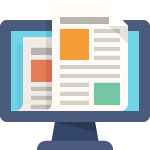 Practical lessons, referring to real works. You will learn how I took pictures that probably you know well and professional techniques in different fields. Here you will see the making of the shooting for the new Manfrotto Campaign 2010. 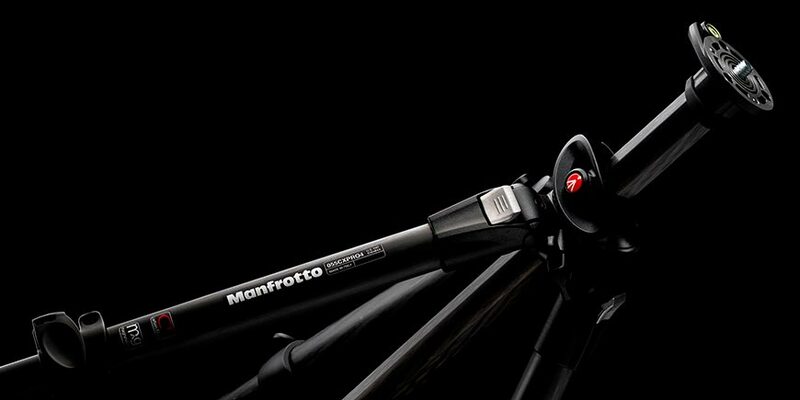 Above, my first popular photograph for Manfrotto. Below the last one. Year after year I developed my technique using spot fresnel lights and light and handy aluminum frames with a frost. The best for light transmission is the Lee Filters 216. This couple of tools allows me an exceptional control and give me a flexible light, smooth and sharp at the same time. If you look at the video, you can see how I obtain this tonal passages of my pictures. 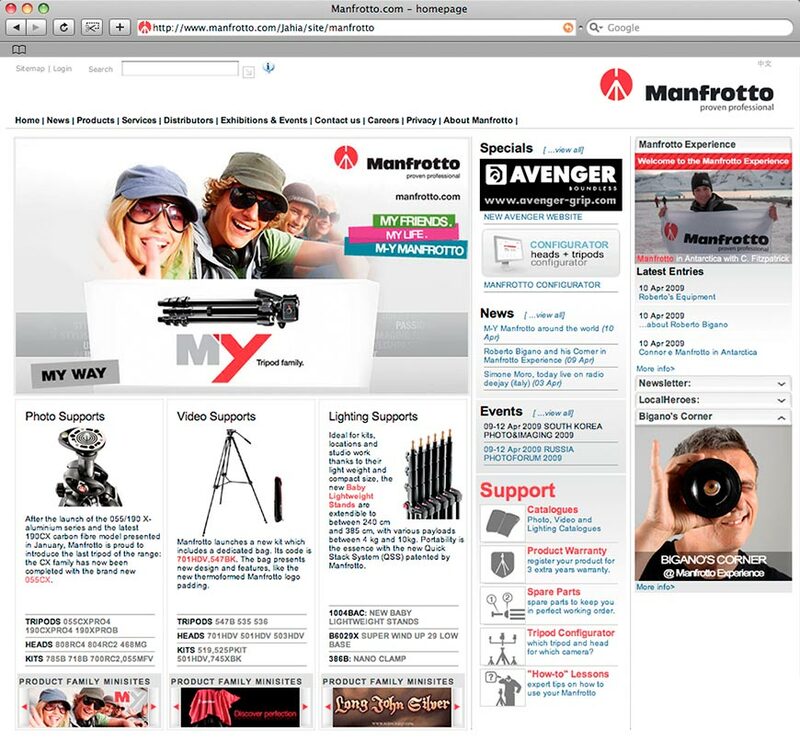 In the same session, I took the picture for the 504HD video head for the last campaign, currently on the first page of all the Manfrotto Web sites shown below. 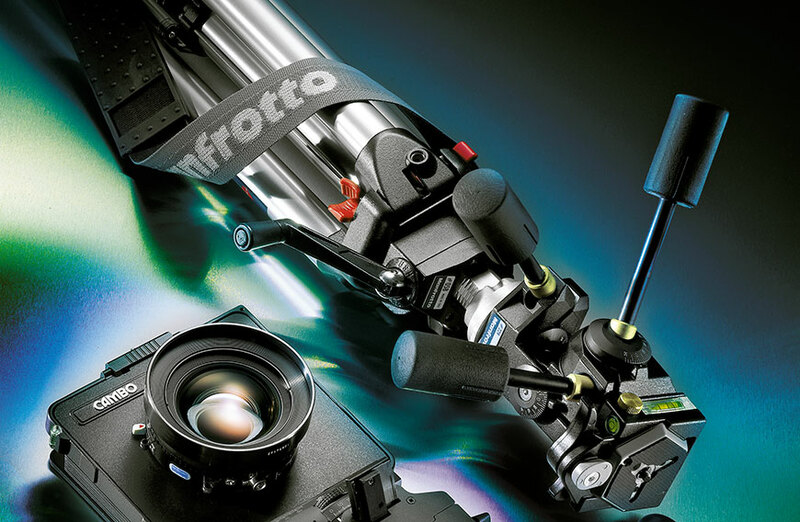 In fall 2009 Manfrotto, world leader in photo and video professional support, launched a corporate ad campaign on its brand, featuring the Manfrotto logo, and the company’s flagship products. All Photographs by Roberto Bigano & Andrea Cracco. To let you catching the backstage glimpse, we publish here some rough videos. With small variations, this is the set I use for most of my Manfrotto Shots. I want to underline that although we could get any stand or accessory, we put you in a situation similar to an average studio. So you will see an Avenger Grip placed on a standard stand instead of a C Stand etc. Pietro Bianchi, a talented young photographer, and videographer of my staff is trying here for the first time the Figrig. The result even if could be improved is absorbing. 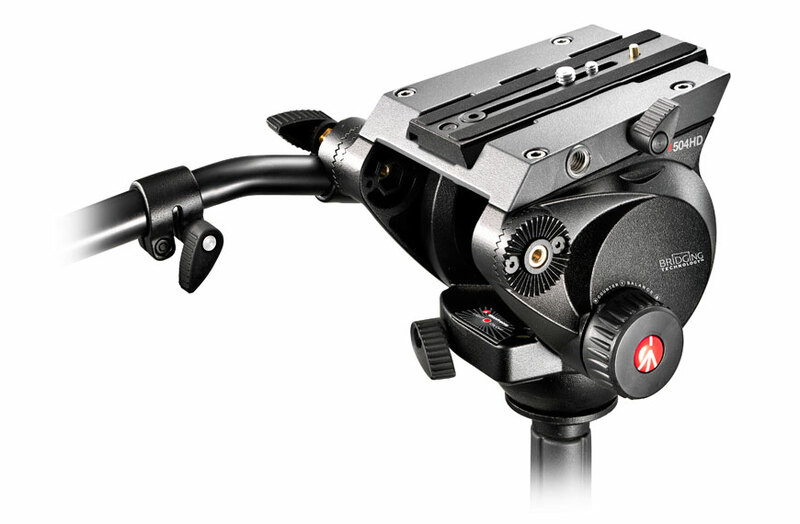 The Figrig designed and engineered by the famous film director Mike Figgis is a circular frame with a crossbar to mount most mini DV cameras or Photo Cameras, the Fig Rig becomes part of the body to produce smooth, steady traveling shots.